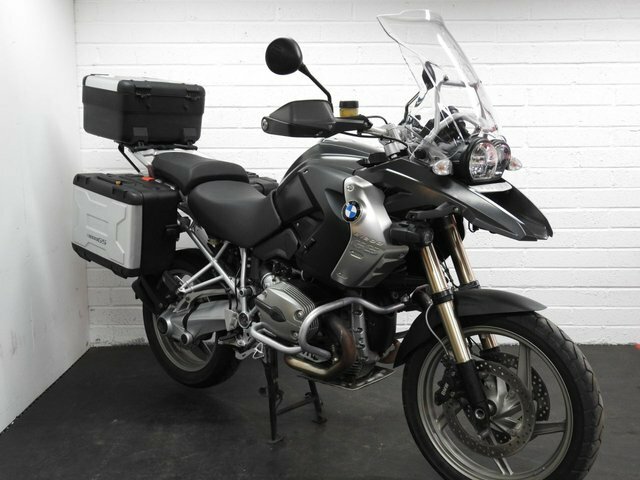 R1200 GS with Full BMW Panniers and Top case, Engine Protection bars, AUX Riding Lights, BMW Adventure Screen, ABS Brakes, Auto stability control, ESA suspension, Heated Grips, on board computer, Main centre stand. (comfort and Dynamic pack) Great condition with full service history, 2 Keys and full year MOT. 25,000 miles Rides perfectly! Nice clean example! FINANCE SPECIALISTS / PART EXCHANGE WELCOME / WARRANTY AVAILABLE / CREDIT AND DEBIT CARDS ACCEPTED / DELIVERY POSSIBLE. To arrange a viewing or to discuss your options further, please feel free to contact us on 01344 887 007 or 07506 105 058 Rideworx specialise in motorcycle sales and finance. We also offer full workshop and diagnostic facilities for all your service needs.